Tis the gift - We live because we want to live: DISNEY "Say it with Planes" - A dream can come true if you believe in it. 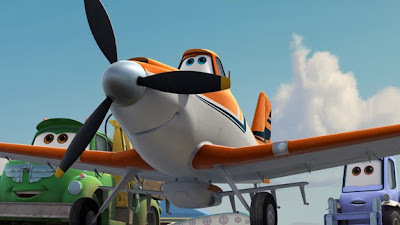 DISNEY "Say it with Planes" - A dream can come true if you believe in it. Was walking along the corridors of Douby Gaut from Purple to red line and the Disney PLANES came into view. Produced by Disney Toon Studios. Always liked Disney shows since young as it always has a meaning behind everything said or portrayed and the conclusion of the story always encourages me. For Planes, it about the journey of an amateur pilot, Dusty, who eventually had his dream come true - competing in the most exciting round-the-world air race in history- after many trials and betrayals from competitors;friends, for he stayed true to himself. In this story, we will get to see many different character persona which is a reflection of society/community we live in - yet determination perseveres as long as you believe in yourself, in your dream. “Disney’s Planes” takes off in Singapore cinemas on Sep. 5, 2013. 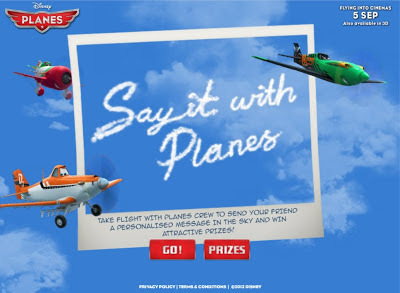 While waiting patiently for the premiere of this movie, Here's what you can do :) Join me up in Disney's "Say It With Planes" Contest to get up to the sky and pursue that very dream of yours or inspire someone else to his/her dreams ! 2. 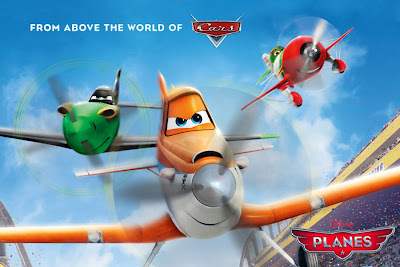 Like the Disney's FanPage and gain access to Disney's Say It With Planes Contest. 3. Pick your favourite character. I think most people will choose Dusty. 4. Lastly, write a message to your friends and family to get to the movie theater for a Planes Experience. Oh before I forget, 10 lucky winners of this contest will win some prizes! 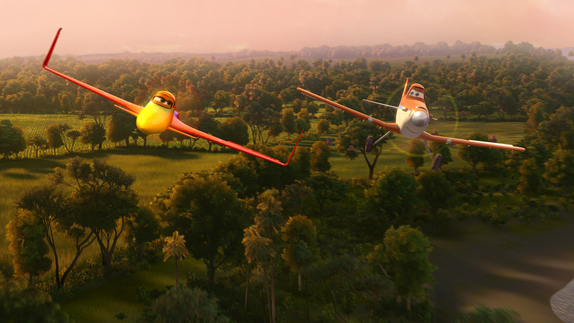 Remember to catch “Disney’s Planes” in Singapore cinemas this 5 September 2013! I'm definitely loving the information of you post. Thanks for sharing.